Couldn't let us all have this one, could you. There were wet eyes all across this drifting lump of rock when Tiger Woods beat a stellar chasing pack to win his first Major in 11 years at a ram-rodded Augusta National. Tiger Woods, who had not won a Masters title since 2005, kept his nerve and played some wonderful golf down the stretch to claim that coveted green jacket for a fifth time. The Masters had gripped golf fans, from casual to manic, from the first tee shot on Thursday until Woods sank the final putt on 18. 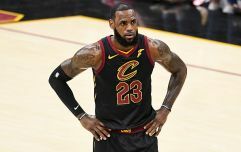 The deed done, folks gushed about his comeback from the bring of retirement after four spinal surgeries in recent years. However, as people went onto social media to join in the chorus of acclaim, there were a few presidential tweets awaiting them. That's right, Presidents Donald Trump and Barack Obama had been glued to the action in Georgia. Trump scatter-gunned off a host of missives over the course of a gripping afternoon while Obama kept his powder dry until the race was won. Great Masters going on right now. @TigerWoods is leading with 2 holes left to play. Very exciting, tune in! 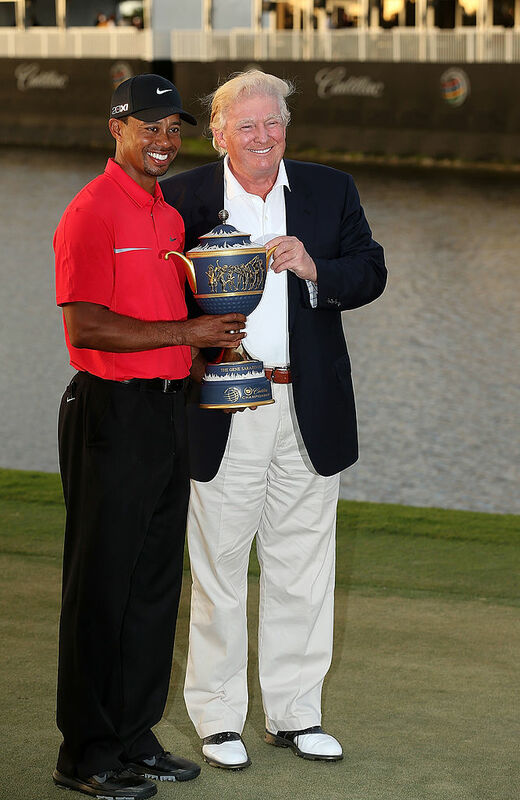 Congratulations to @TigerWoods., a truly Great Champion! This, of course, sparked a host of replies - good, bad and apocalyptically angry - and some revelled in sharing a snap or three (hundred) of Woods posing for pictures with the golf-loving Trump. "Well, I’ve known Donald for a number of years. We’ve played golf together. We’ve had dinner together. I’ve known him pre-presidency and obviously during his presidency." "He’s the president of the United States and you have to respect the office. No matter who’s in the office, you may like, dislike the personality or the politics, but we all must respect the office." 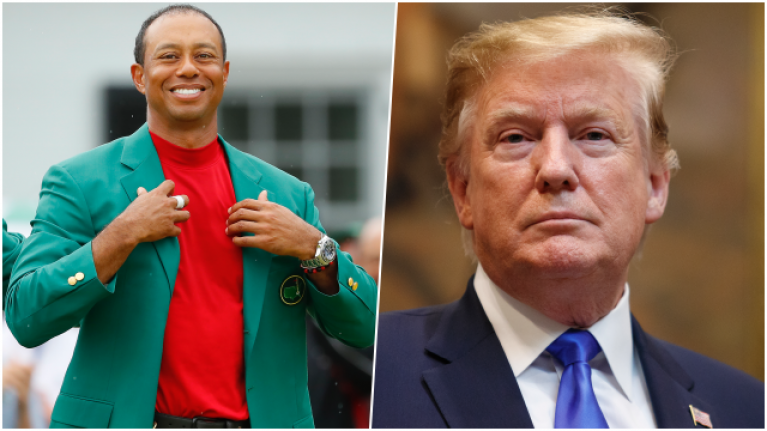 A third reporter asked another Trump-related question and Woods responded that he had 'just finished 72 holes' and 'was really hungry'. End of that discussion, for that day. The likes of Jack Nicklaus and Gary Player - two Masters dons - were quick to praise Woods for his 15th Major triumph, and so too was President Obama. Dion Fanning, Paddy McKenna and Tony Evans on The Football Spin... HIT PLAY. The North Awaits is JOE’s very own Game of Thrones podcast, hosted by Michael Fry and Carl Kinsella. This week, the lads are wondering why we haven’t seen The Night King yet, who’s going to survive the battle of Winterfell and whether Daenerys Targaryen is slipping into Mad Queen territory. Make sure to listen and subscribe below. North Korea test-fires new "tactical guided weapon"
WATCH: Donald Trump repeatedly say "oranges" when he means "origins"
Pope Francis: "Those who build walls will become prisoners of the walls they put up"